Justin Allgaier, driver of the No. 7 Brandt Chevrolet for Jr. Motorsports, completely dominated Saturday’s DC Solar 200 at Phoenix International Raceway. Allgaier lead a race high 85 of 200 laps in route to the checkered flag. 2016 was a tough year for Allgaier and his No. 7 team as the the team finished third in the points standings and never found victory lane. “Last year was tough,” noted Allgaier post race. “You know, we had really good runs all year and never were able to get to Victory Lane. But these guys fought hard. 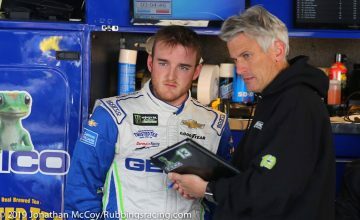 We have the same group guys we had last year, and to be able to do it here at Phoenix, obviously first race for XFINITY Dash 4 Cash.” Allgaier said. Jr Motorsports had a great day at Phoenix with all four of their drivers finishing in the top 10. 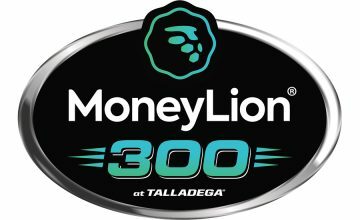 While Allgaier was the JRM driver who came out on top in the first position, pole sitter and Rookie of the Year candidate William Byron finish fourth. NXS points leader, Elliott Sadler, finished fifth while Michael Annett finished in the afternoon in the 9th position. “This is a team effort. We had four really good JR Motorsports hot rods today.” Allgaier said. Team Owner Dale Earnhardt was the first to greet Allgaier in victory lane. 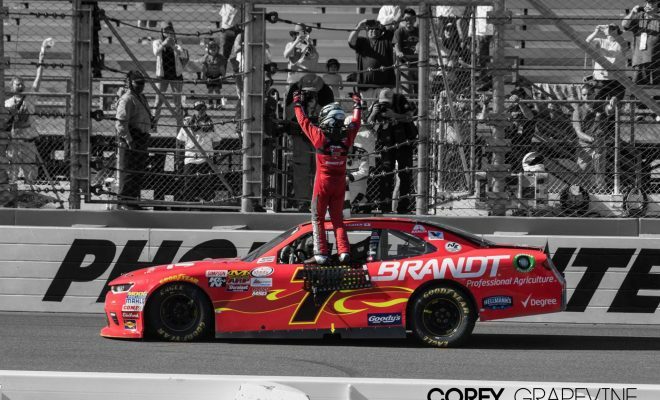 “I’m happy for Justin Allgaier and the whole team, Brandt Racing and our partners. 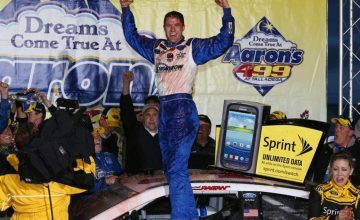 It’s great for Jr Motorsports,” exclaimed Earnhardt.